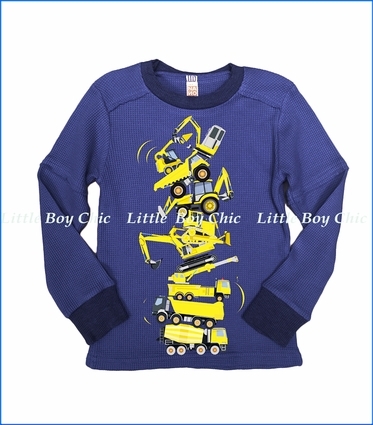 We dig this Nano Tee with the stack of diggers and trucks. Quality cotton gives a soft hand feel with a bit of stretch for comfort and fit. Long sleeves. Crew neck. Image depicts a thermal tee, however, this tee is not a thermal. Actual color matches navy crewneck ringer and cuffs.